The land moratorium hinders the development of agriculture. The World Bank unveiled on Tuesday, 3 October, Special Focus Note: Reforming land markets for agricultural growth, which calls for lifting the ban on land trade. "The moratorium on the sale of agricultural land, combined with the lack of transparency in the area of property rights to land and land transactions are responsible for low productivity, low levels of investment in the agricultural sector and lower revenues from the provision of land for rent for mns of Ukrainians. Land reform is extremely important for improvement of the living standards of Ukrainians, since it should contribute to the acceleration of economic growth, increase in incomes of the population, including income from rent land for smallholders," reads the report. The World Bank notes that Ukraine has the largest area of arable land in Europe, but the added value per hectare is only 413 dollars, while in neighboring Poland - in 1142 dollars, and in France - more than 2,400 dollars. The rental rates are several times lower than in other European countries. In Ukraine, it is about $ 37 per hectare, and in France (the second area of arable land) - 198 dollars. 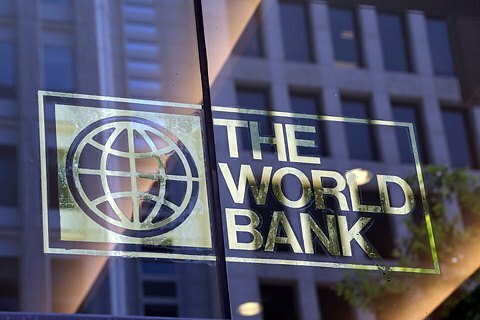 The World Bank notes that Ukrainian government has taken important steps to initiate land reform but further action is needed in a number of areas. The government has declared land reform a priority and has begun work on ways to improve transparency in land markets; explore mechanisms to facilitate access to financing for small and medium farmers; and discuss the principles of a draft land turnover law with stakeholders. President Petro Poroshenko in his annual address to the Verkhovna Rada this year has promised that he will not squeeze land reform out of it. In addition, land reform is critical reform the sixth tranche of the IMF.